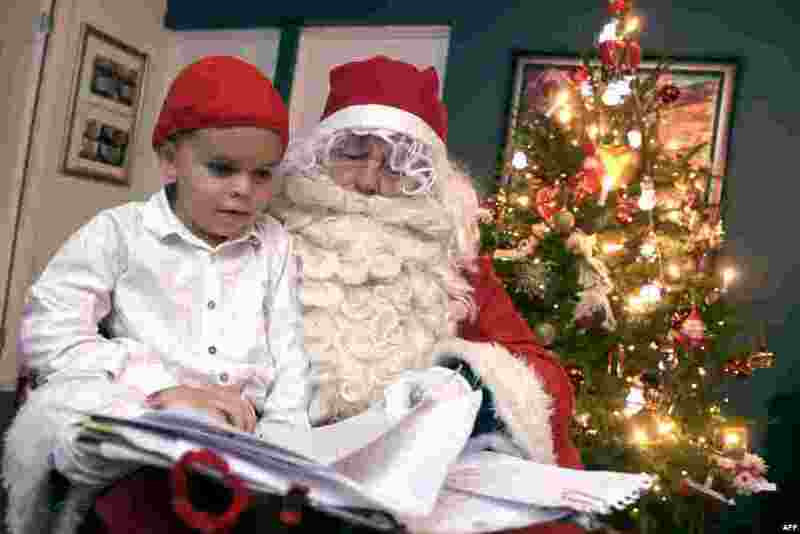 1 A man dressed as Santa Claus visits and gives Christmas presents at a family's home on the Christmas Eve in Espoo, Finland. 2 Afghan school children attend an open-air school at the Gambiri Refugee Camp in Laghman province. 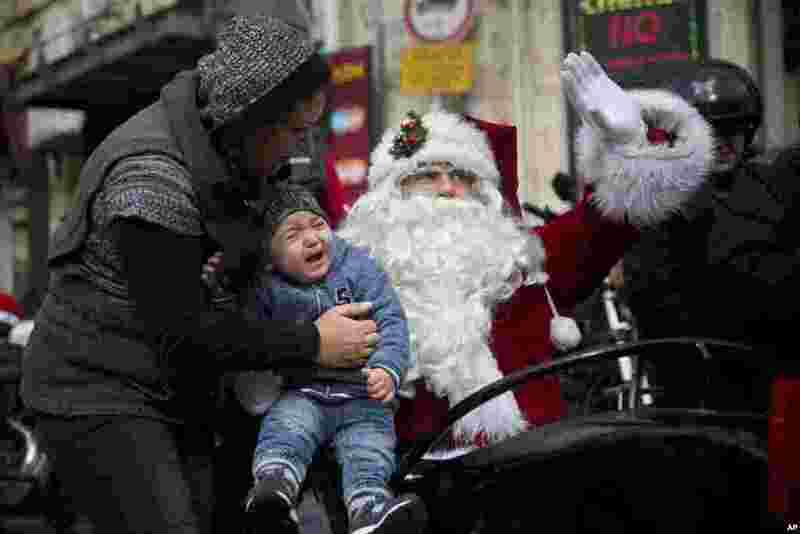 3 A man dressed as Santa Claus waves from a sidecar of a motorbike on Christmas Eve in Jerusalem Old City. 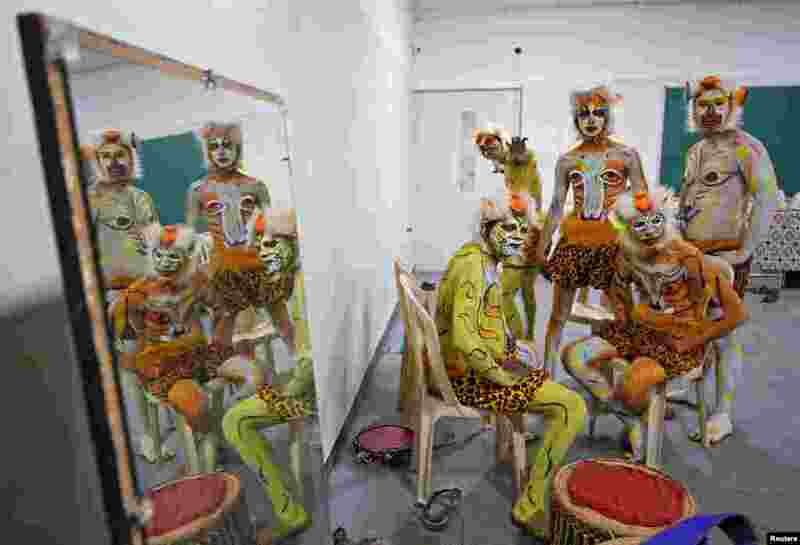 4 Artists painted to look like tigers are reflected in a mirror backstage as they wait to perform during a cultural event in Bengaluru, India.